Serving the Sarasota Gulf Coast area since 2003 with the finest in kitchen, bathroom and living space designs and installations. Our quality is inspired by partnering with the best suppliers of cabinetry and finish components. Offering.. upgrading, remodeling , or new construction cabinets, Metro Cabinet Company can help you make your dream kitchen or bath a reality. Our custom cabinetry is uniquely designed and built for you. Together we can be creative and work within your budget guidelines. By combining form and function, we open up many ideas that can make your vision happen with our quality cabinets and personal customer care. Storage can be optimized with the custom designed cabinetry and you can realize your ultimate kitchen or bathroom. Through collaboration with our custom cabinetry suppliers we can service all of your kitchen cabinet, customer cabinet, bath cabinets and all designer cabinetry needs. Family owned and operated for 34 years, Eurotech Cabinetry, Inc. is Sarasota's premier cabinet and kitchen design company. 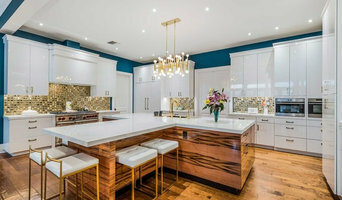 Kitchen design is one of the things we do best here at Eurotech Cabinetry, Inc. We are a licensed cabinet contractor in Sarasota Florida, that has been serving customers who are looking for kitchen design as well as custom furniture projects since 1984. 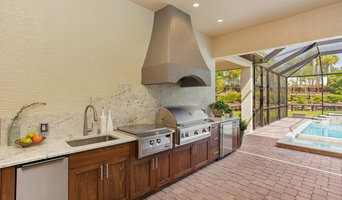 We only work with high quality materials and supplies because we are dedicated to our craft of kitchen design in Sarasota. Giving your home the best possible custom cabinets and kitchen design both structurally and aesthetically, is our company’s central mission. Our reputation speaks for itself. Our customers are so happy with our kitchen design that they are telling their friends. Our reputation is a result of our dedication to our customers’ satisfaction, and the quality materials that make for strong, customized cabinets. We work with many different materials in an unlimited array of finishes including; laminates, metals, plastic, hardwoods, veneers, exotic woods, stone, concrete, and more, so our clients can select exactly what suits them. Our diligent carpenters make beautiful custom cabinetry such as bedroom, bathroom, living room and kitchen cabinetry. They perform each job with a level of precision that is unmatched by our competitors who make custom cabinetry in Sarasota. Custom cabinetry and furniture can be built to your specifications. We possess the tools and knowledge to properly design, and build your custom cabinets. Just let us know what you need done, and we’ll make it happen. Come visit our showroom which is located on 1609 DeSoto Road, Sarasota, FL 34234. Please feel free to call ahead to schedule an appointment (941).351.6557, however, walk-ins are more than welcome as well. We look forward to seeing you or hearing from you in the near future. Our Focus Magnolia Cabinetry’s desire is to provide clients with extraordinary service throughout the cabinetry design and installation process and to leave them with a product that they can admire and be proud of for years to come. Cabinetry is our business but we hope to build relationships along the way. Design Magnolia Custom Cabinetry takes pride in designing cabinetry that meets not only your needs, but also brings your unique style to life. By using 3D design software, we are able to work closely with you the client and help you to visualize how your custom cabinetry will look and feel in your space. This process takes time but proves just how important each job is to us. We strive to get every important detail just the way you want it. Warranty Each cabinet that we sell comes with a Limited Lifetime Warranty. Our goal is to see you happily enjoy your cabinetry purchase for years to come. We sell fine cabinets for fine people. Your complete satisfaction really does matter to us. Comprehensive Florida Design Firm Helping You Create Your Dream Space! We are a luxury interior design firm specializing in residential remodels, commercial interiors and anything in between. From preliminary conceptual planning to the finishing touch, each project is custom-tailored to the client’s need for innovative, luxurious design. Be it one room or your whole house, we create finished schemes to comply with your specified requirements and budget. We employ our experience working with the most modern apartments to traditional country houses, allowing us to work collaboratively with you to achieve your desired style and expression. The level of design input you require for each room may differ, from complete color schemes, finishes, furniture, lighting specifications to simple artwork and accessories… Call us to arrange an appointment to discuss your ideas. We specialize in sourcing unique and unusual items for our clients. As well as antiques, we are often commissioned to source 20th century classics or perhaps a modern piece of art. Whatever your needs, we will work closely with you to find that perfect piece. See our portfolio for inspiration, ideas and completed projects. Should your requirements be less structural and more tactile, Lancaster Interior Design can source and produce the softer, luxurious elements of a scheme for you. Curtains and the design of window treatments will transform a room and as such are one of our specialties. We have extensive sourcing knowledge enabling us to find the most individual carpets and rugs or maybe you just require beautiful scatter cushions to enhance your own designs. We will often re-upholster a much loved piece or fully design, craft and upholster bespoke furniture for a purely individual look. Styling is the culmination of the interior design process when the subtle nuances of all the elements are brought together, accessorizing your room to achieve its intended potential. Whether these elements have been put in place by us or by you, Bonnie and Keffie can work collaboratively to style your house to optimal effect with sculpture, lighting, artwork and accessories. Campbell Cabinetry Designs is a family-owned and operated cabinet company that prides itself on delivering the best solid wood custom cabinets in Sarasota, Florida. In business over 40 years, their design and understanding of the craft is unparalleled, resulting in distinctive and original work. *Authorized Wellborn Cabinetry Dealer* Enjoy beautiful new cabinetry or completely transform your living space with help from Cabinet Solutions of Sarasota, home improvement and remodeling specialist based in Sarasota, Florida. Since 1994, our family-owned-and-operated business has provided quality kitchen and bathroom renovations—as well as whole home remodeling—with exceptional customer service as our goal. Cabinet Solutions of Sarasota strives to exceed your expectations by offering top-quality products, creative design, and consistently open, two-way communication—all at a reasonable price. We take pride in our attention to detail and will achieve your desired outcome by focusing on what you, the homeowner, desires and needs for your home. We are proud members of the National Kitchen & Bath Association and the Greater Sarasota Chamber of Commerce, with a great reputation in the community. When combined with our high-quality, made-in-America cabinet lines and our green practices, it is easy to see why we have so many return clients and referrals. 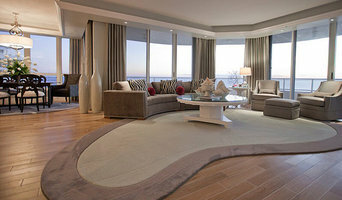 Sarasota Area's Preferred Interior Designer- Best of Houzz Winner! Since 1995 McCabinet has been designing Amazing Kitchens & Bathrooms. With a collection of award winning designers led by our own Tricia Guy, we are now capable of creating anything that our customers can dream of. Our beautiful showroom is filled with a tremendous selection of door styles, colors, decorative hardware, ideas and top samples. McCabinet is where luxury and value are in mind. We enjoy working with homeowners and home industry professionals, such as home builders, general contractors, home remodelers, etc. Sawa Design Studio LLC is a full service design studio with locations in Sarasota, Florida and Nairobi, Kenya, devoted to providing innovative design solutions for residential, commercial and hospitality projects. The Sawa Design team takes a collective approach to exploring design concepts and developing creative solutions for our clients’ environments. Our team is committed to working closely with the client on each project, from initial concept to final construction, to ensure that each project milestone is a definitive celebration of our client’s vision for their home, workspace, or brand identity. Our broad spectrum of industry specialties includes interior design, lighting design, industrial design, architectural integration, styling, custom furniture, furniture procurement, and creative brand solutions. Sawa Design Studio operates on the principle that beauty and function are the cornerstones of great design. Beyond that, our philosophy on design is simple: People should enjoy it. We strive to create spaces that transcend the boundaries of tradition, style and taste; to give life to environments that celebrate form, function, and above all, comfort. We believe that great design speaks a universal language and that the flow and impact of a living and working environment is influential and ubiquitous. As such, our work is rooted in quality custom design and the timeless aesthetic of functional refinement. Sarasota native and graduate of Ringling College of Art and Design with a BFA in Interior Design, Erin Delia Glueck knows how to design your dream home! Eridel Design Studio is an award winning Sarasota, Florida based studio specializing in luxury residential interior design throughout the United States. Established in 2015, we create luxury interiors that incorporate elegance, practicality, and sophistication. New construction, home redecoration, or full scale renovation, Eridel Design Studio creates interiors that are both unique and inspiring. Our interiors cannot be sorted into any one category of design, because at Eridel Design Studio, we like to push the limits to continually evolve and grow. Since officially opening the doors in March of 2015, Eridel Design Studio has steadily grown into a successful and locally recognized interior design studio. In late 2018, Eridel Kitchen & Bath was established, which offers cabinetry from the affordable options to the high-end, fully custom creations. ionDesign, LLC is a full service Home Decorating, Remodeling and Staging business. We can assist with remodeling & decorating a whole house or one room. As a Certified Senior Specialist we can focus on Aging in Place & Universal Design Remodeling. Our team of licensed contractors, including in-house woodworker can accommodate all your design needs. Our team of licensed contractors and custom woodworker can provide multiple services for every aspect of remodels. While our staging services helps you market your home to show its best for a faster sale. We take pride in offering our clients exceptional service at a fair price. We are fully licensed and insured. Give us a call or message today to learn how we can partner with you on your next project! Micheline Laberge, ASID is a licensed interior designer whose design philosophy is to enhance her client’s interests and desires with expertise in space planning, color and unique style. Micheline takes projects from conception to installation, customizing each design through the use of color application, finishes, lighting, specialized window treatments, proper furniture scale, and balance while maintaining sensitivity to budget requirements. Her award-winning designs have been published in local and national publications, and she has been recognized as one of the top design firms in the Tampa area. Manatee County "Boutique Style" Interior Designer - 2x Best of Houzz! jenifer@inside-eye.com Award winning interior design inspired by natural elements, layered textures, and custom designed pieces with a lived-in, comfortable flair. From minimalist clean lines to layering textures of organic materials and lush products, every design style is embraced. Listening, attention to detail, comfort and function all play an important part in my design concept.